Just regular folks. 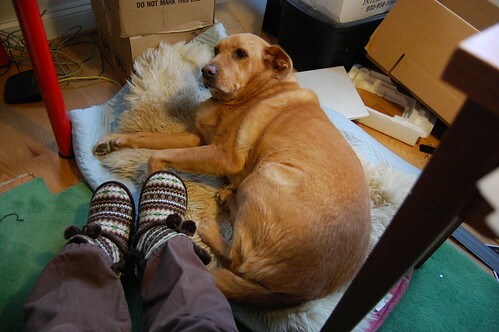 : Slippers and Ruby at work. Ruby is so sweet. What a great dog. I wish I could pet her.